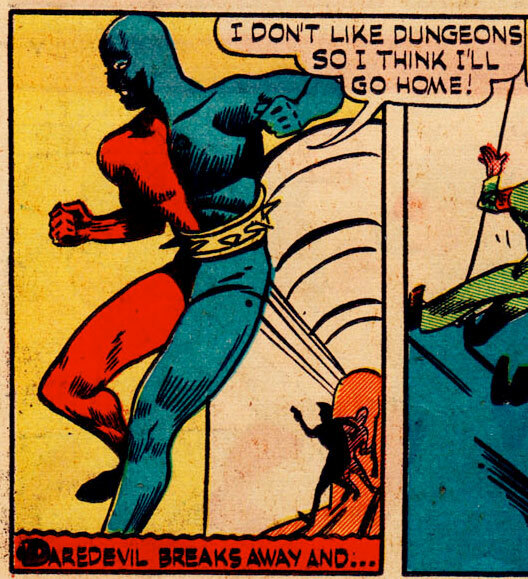 I hoped this was the BLIND daredevil so I could Ignore such a horible outfit. It looks like Penanc and Deathstroke Amalgam (since we talked about that last week). But what do you expect from a guy who fights Hitler with a boomerrang!